New digital series highlights talented New York area university student artists working in visual art, music, dance, photography, and more . 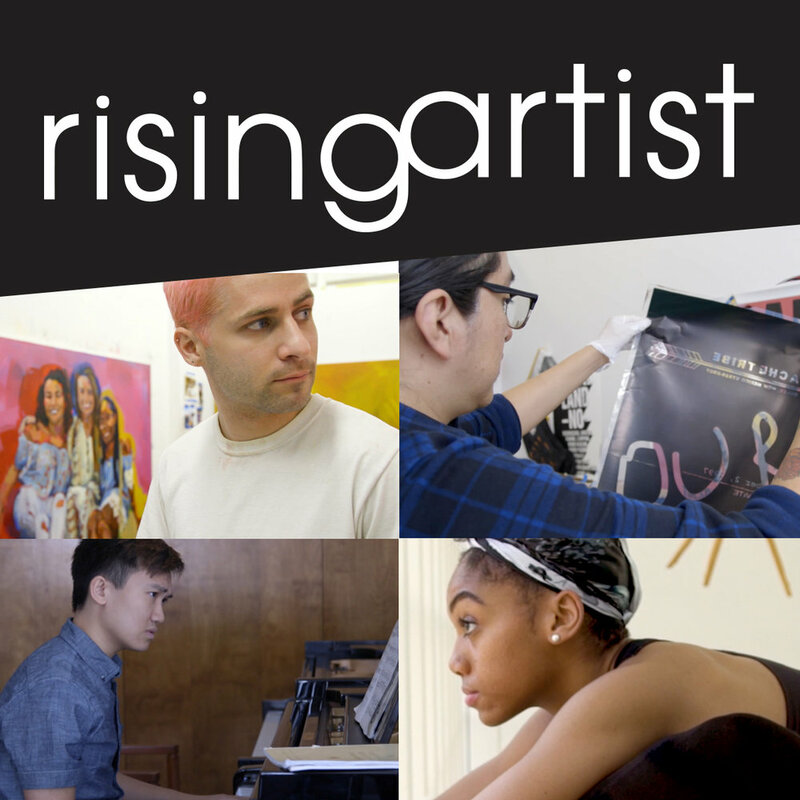 Rising Artist profiles creative student talent at NYC area universities. In the first season, JoJo Boykins choreographs by collaborating with fellow dancers. Cameron Meade’s paintings celebrate his extended family of homeless youth. Pianist Joey Chang revisits the improvisational roots of Western classical music. Cougar Vigil combines painting and photography to address issues affecting his Jicarilla Apache community. JoJo Boykins (episode premieres Tuesday, March 19) was inspired to dance when as a young girl she did not see anyone who looked like her at a performance of the Nutcracker. At Purchase College-SUNY she discovered a love of choreography. Her approach is collaborative, incorporating other dancers’ movement ideas to tell her story. She hopes to inspire youngsters of color who see her perform to realize they can do so, too. Cameron Meade (episode premieres Tuesday, March 26) paints joyful portraits of his extended family – homeless youth supported by his family’s non-profit. He says his version of Queer Art reflects his gratitude for the people he paints who enrich his life and make him feel “Blessed and Highly Favored,” the name of his MFA show at Pratt Institute. He also feels fortunate to have multidisciplinary artist Derrick Adams as a mentor. Joey Chang (episode premieres Tuesday, April 2), pursuing his master’s degree at Juilliard, has an improvisatory quality that distinguishes him as a classical pianist, according to his teacher Jerome Lowenthal. Joey has come to regard improvisation as an empowering philosophy. He is dedicating himself to interdisciplinary experimental work developed collaboratively with other classically trained musicians. Cougar Vigil (episode premieres Tuesday, April 9), who is Jicarilla Apache, is a graduate student at Pratt Institute. 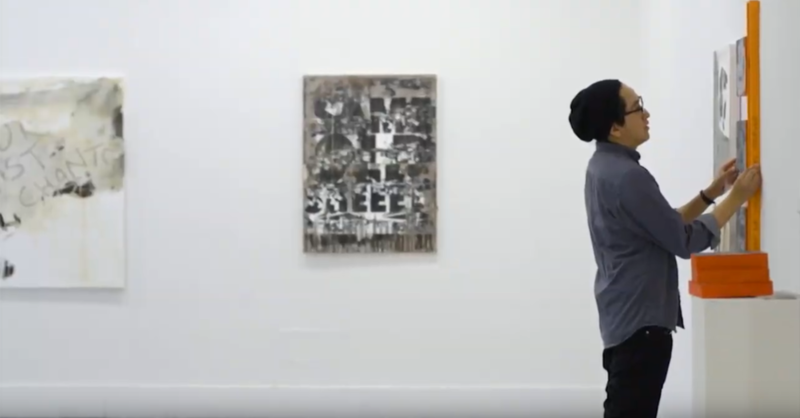 Combining photography and painting, his work challenges stereotypes and generalizations about his culture. Incorporating his photographs of life on the reservation, he composes images on a computer to produce transparencies used to create solar prints…with the sun as his collaborator.